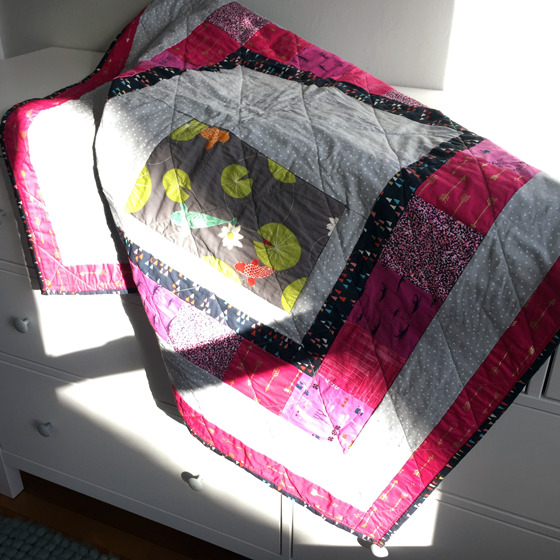 Quilting can be very cathartic and meditative. You have to be very precise with the cuts of fabric and sewing all the little pieces together into one. I’m a newbie at quilting, so I opted for a simple block asymmetrical pattern that I can do a little free-styling to make it modern. I wanted to break away from being glued to the computer and was inspired to create a hangable piece for my home. 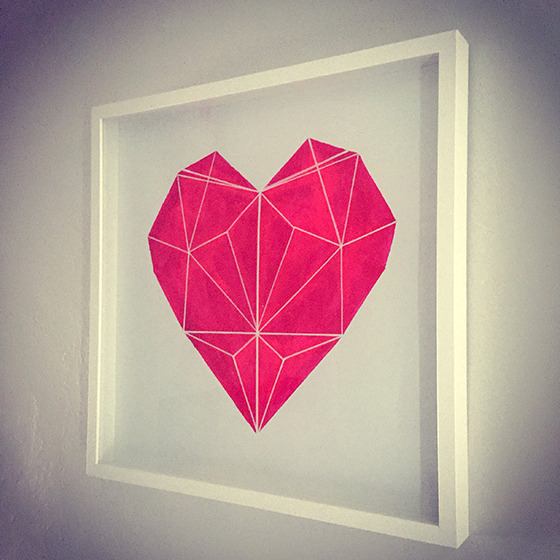 Recently, I’ve been obsessed with anything geometric and painted this hot pink heart to warm up the room. The 20×20″ frame is from Ikea, called Ribba for $15.